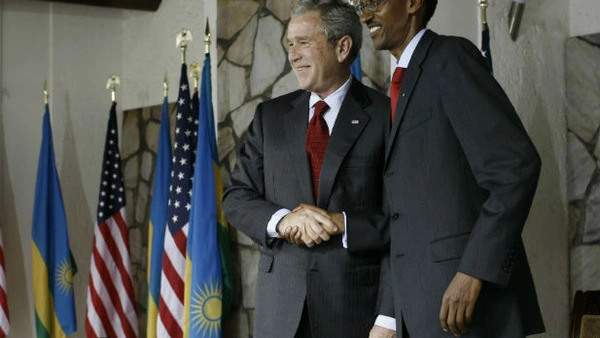 U.S. President George W. Bush shakes hands with Rwandan President Paul Kagame after signing a bilateral investment treaty during a news conference at the Presidency in Kigali February 19, 2008 (Jason Reed/Courtesy Reuters). Last week Lori Wallach, Director of Public Citizen’s Global Trade Watch, joined me at CFR for a rare on the record roundtable meeting. Living up to her reputation for incisive and provocative remarks, Wallach sparked a heated debate about the impacts of investment treaties in the global south. She argued that Bilateral Investment Treaties (BITs), which aim to protect foreign investors from unfair and arbitrary treatment by governments, are themselves arbitrary and unfair. BITs are treaties between governments that guarantee foreign investors a number of rights, including protection against expropriation and limitations on capital controls and performance requirements, and give foreign investors the ability to bring cases against governments in binding international arbitration to enforce these rights. Citing the academic research, Wallach said that these treaties do not in fact promote foreign direct investment (FDI)--meaning that the “grand bargain,” under which capital-importing countries relinquish domestic policy space in order to increase FDI and therefore growth, is not delivering as promised. If BITs do not actually empirically increase FDI, what do they do, and what are they good for, she asked the audience. Many participants had very different views, arguing that these investment treaties generate important beneficial outcomes for both developing and developed countries by fostering investment and growth. This debate will be examined further in upcoming Development Channel articles and CFR meetings. You can view Lori Wallach’s presentation here. A recording of the roundtable meeting is available here. More coming soon on poverty, inequality, and global economic governance.